Get traction on key initiatives, regain control over runaway projects and optimize your organization, processes and tools to achieve peak performance. Grow your top line. Improve your bottom line. Everyone is working hard, doing their best to check things off their list and keep the business moving forward. But what about those initiatives that would help the business improve, if only you had the time and resources to get them done or accelerate them across the proverbial finish line? What could you do to enable your organization, to help your teams collaborate and achieve more? That’s where we step in. We bring the right people, with the right experience and the right tools, when and where you need them, to help you identify and implement those initiatives that will take your business to the next level. Ask questions you didn't know you had, and get answers you didn't know you could get. You may have hunches about what no longer works and intuitively know what could be improved. But hunches can be difficult to substantiate. We validate your intuition by creating a unique map of your company's "Value Creation DNA" that helps you understand where challenges and opportunities are. The opportunities for improvement we identify are always in context of your objectives, history and culture to maximize positive outcome. We quantify those opportunities so you can fully appreciate the magnitude of what is at stake, and prioritize your initiatives based on facts, not emotions. "Across-the-board" cuts, broad realignments and sweeping changes based on high level financial analysis rarely lead to the intended consequences. Our method clearly identifies what to do and why, based on a comprehensive understanding of impact to your business and objectives. To ensure the quality, consistency and adoption of our work, we use proven techniques and tools that were developed to minimize risk, increase communication and improve collaboration across your teams. Prioritize the initiatives that will have the most impact. Find the proverbial needles in your haystacks. Evolve from "as is" to "to be"
Make your people more productive and your business more profitable. See what the future can look like. A proven project management method that ensures the best possible, surprise-free outcomes. “However beautiful the strategy, you should occasionally look at the results” -Sir Winston Churchill. Training and certifications are important to learn about the theory of project management, but theory alone rarely delivers value. Project management is often implemented without a proper governance framework to ensure success. We leverage a powerful, yet simple and proven project management method that brings together the pragmatic elements of theory and practice to help drive your initiatives to successful completion. But what we really get excited about is helping you create a project execution culture that enables you to deliver any project in a consistent manner, every time. Organizations that fully embrace the creation and nurturing of a project execution culture increase their probability of success and accelerate their growth, while developing more cohesive teams. Our method for project management ensures all the right stakeholders are deeply involved from the beginning, understand their role, and behave in full support of the execution. Planning for initiatives in silos following different methods, may lead to missed expectations, incomplete requirements, reduced business value, and potential conflict between functions/projects. Our method drives accountability for completion, across functional barriers, focusing on critical path analysis, and allowing for other methods, such as Agile, if appropriate for the domain. 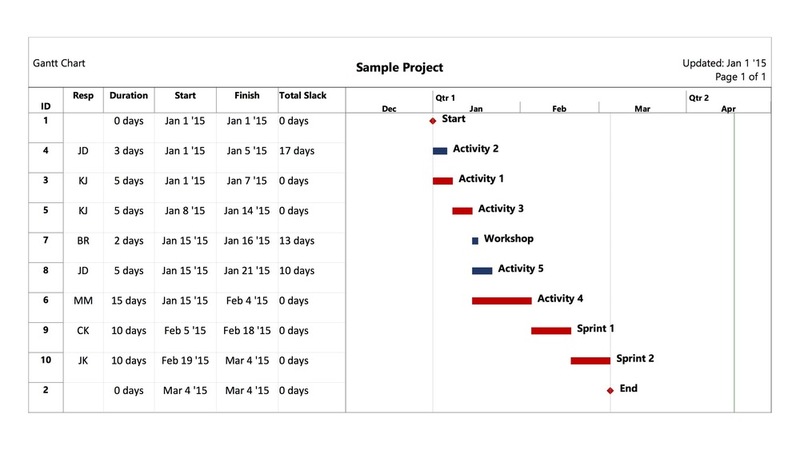 How often do your teams review and update their project plans? All projects have issues. How quickly project teams learn about and adjust for those issues drives the success of projects. Our method for controlling projects ensures plans always reflect the current reality of projects, exposing issues as early as possible, and holding the team accountable for delivery and resolution. Transform your business into all it can be. The first step in successfully managing change is to understand your starting point. Documenting current processes, including the various people, technologies and tools that support them is a key first step commonly known as "AS IS" analysis. The outcome clearly identifies the challenges that stand between you and peak performance. Simply adding, modifying or removing process steps does not guarantee success. Successful transformation must also take into account softer dimensions such as history and culture. While the recommendations we make methodically address issues identified during the "AS IS" analysis, they also follow strict design principles based on your unique culture and values, so the resulting changes are easily accepted by your teams. In many cases, optimal value creation can be achieved through business process re-engineering and changes can be made with minimal impact to people and teams. Sometime however, more significant measures are needed that can impact organizations or lead to invasive projects such as implementing new software or technology solutions. Because we always approach our analysis from the stand point of optimizing value, such initiatives are always assessed with a clear sense of purpose, achievability and results.